Thank You With The Botanical Suite! 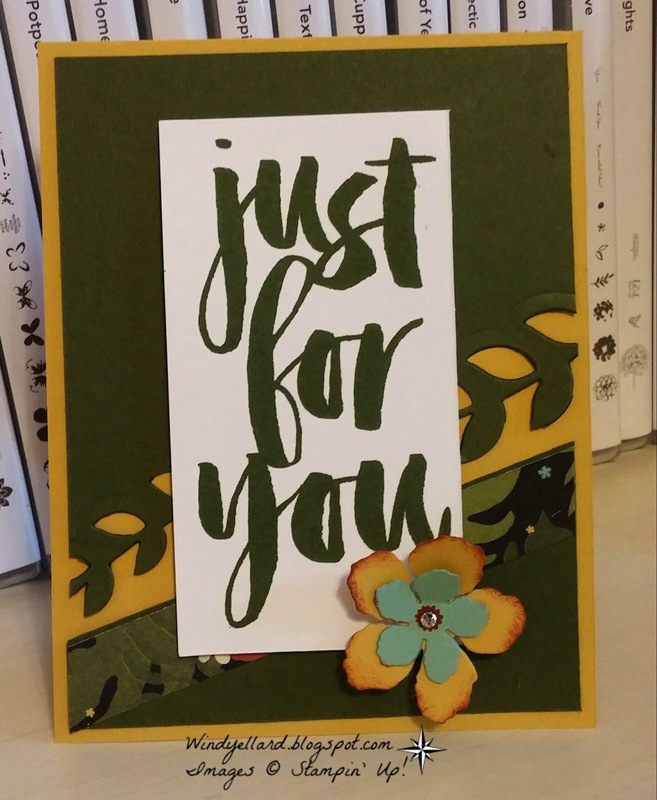 This is a card I put together quickly to send out to a friend. early this month and I had an extra white piece already cut. 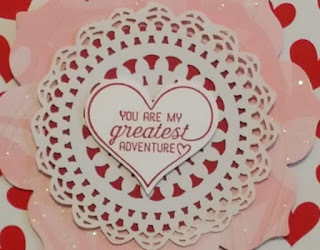 I love the sentiment from You're So lovely stamp set...will use this one a lot! Last card for class this week! 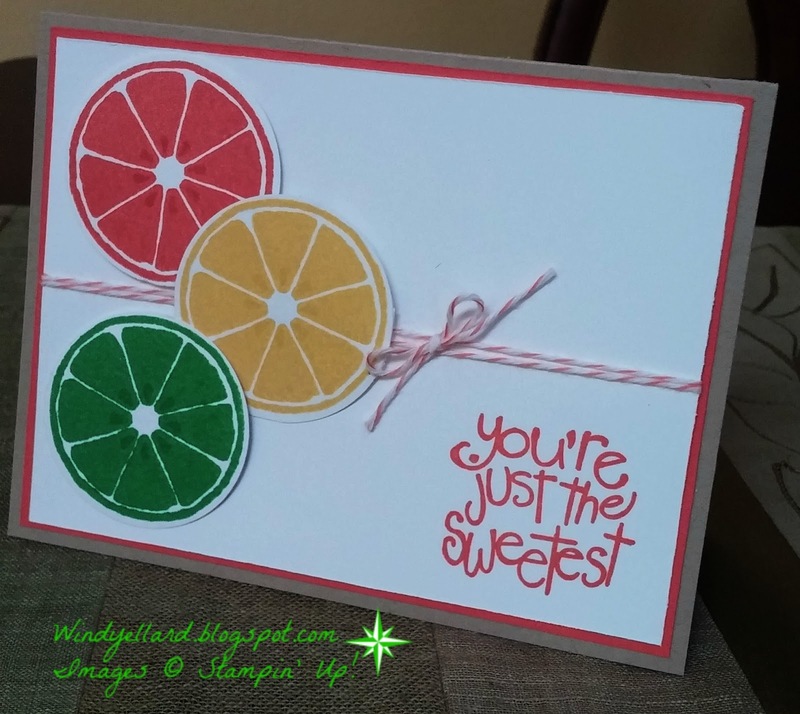 I decided to go fruit-y with some fruit slices. I stamped in three bright colors and punched them out...so simple! I love the little seeds you can stamp on the slices...look so real don't they? This is the 4th card for class this coming week. 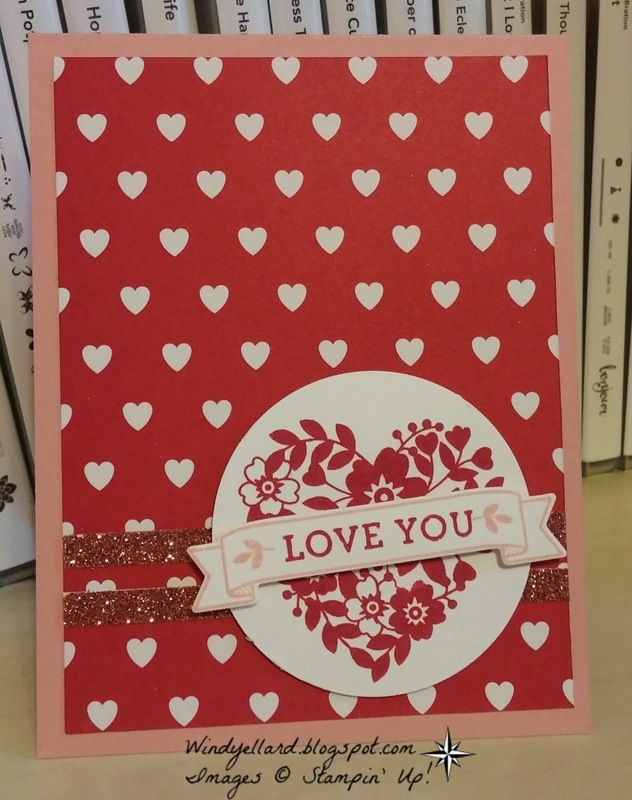 and several other words/sentiments can be used for this card. 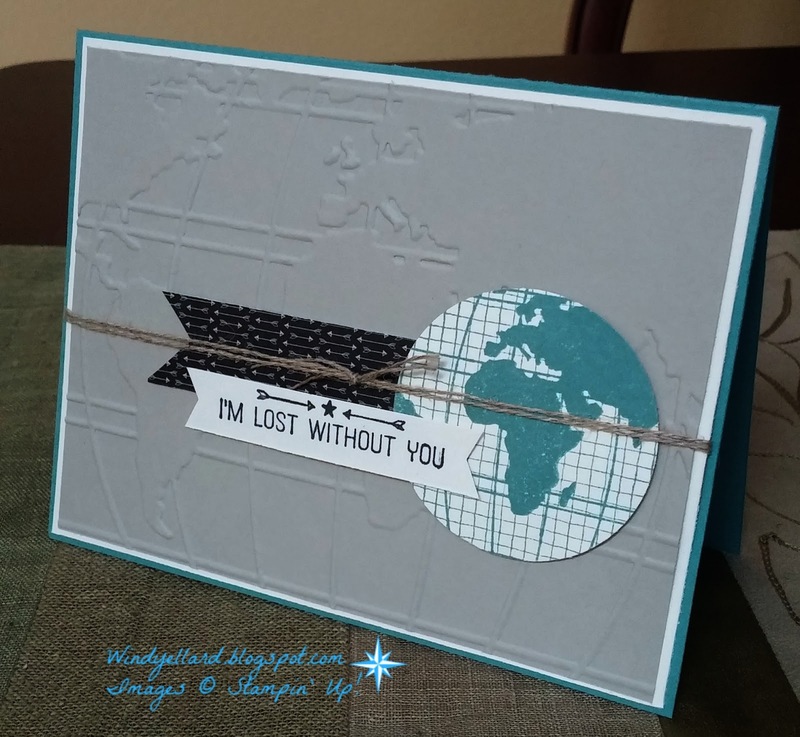 I love the World Traveler emboss folder! Have a wonderful weekend and thanks for stopping by! FMS Hope You Are Feeling Special! I thought about my English Garden DSP right away since I had just used it. From there I had my colors and then grabbed the Garden In Bloom set to match. I forget to use my Tags and Labels dies....should pull them out more often! Added a little bling with the sparkling pool party ribbon! Hope you have a wonderful Friday and thanks for stopping by! PPA289 It's A Good Day! 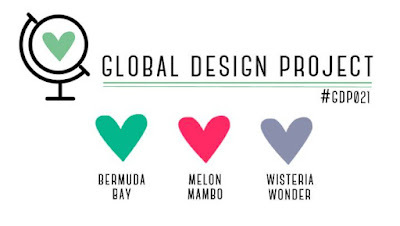 I sat a very long time thinking over this color combo...getting nowhere! and for some reason this set-Happy Home-jumped out and said, "use me!" 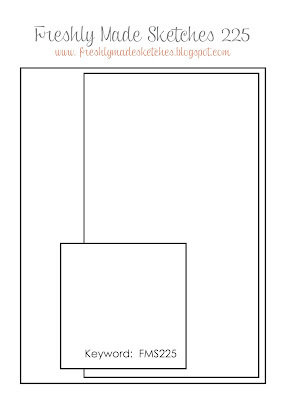 and then only had to add a little line to connect the two scenes together. This will be off to my mom tomorrow! She is prepping for knee replacement and I want to encourage her! I hope you have a good day, too! Sending out loads of thank yous this week! 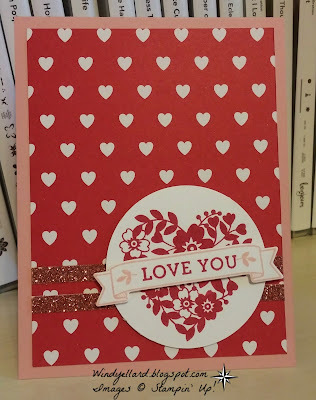 When I saw this card my first thought was "I love that paper!" English Garden has been my fav since it hit the catalog last year! 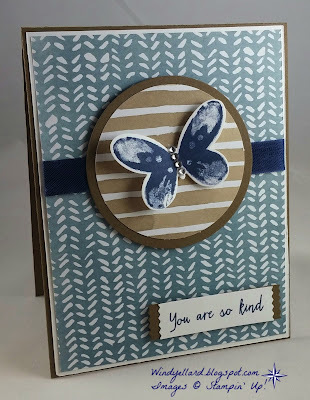 So I knew the designer paper would be used and a butterfly. I pulled those out and went from there. 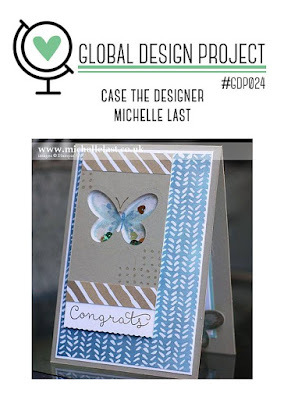 I love Michelle's layout too and will use it soon on another card! 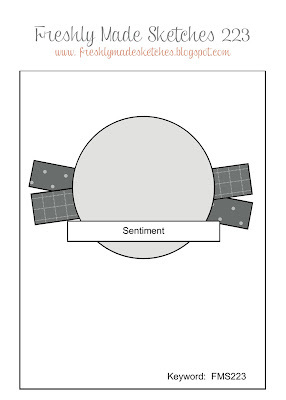 This is the third card for my classes next week. They will stamp the image in black ink and then watercolor with Blushing Bride and Wild Wasabi and then lay the black die cut on top for the bold look. 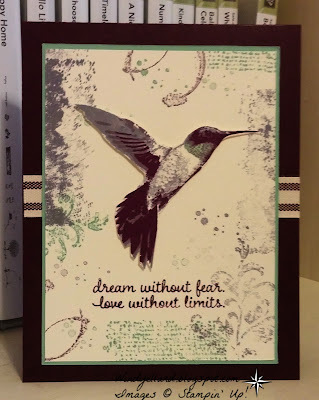 I added some paint splashes with the Timeless Textures stamp set. This can be a thank you, birthday, sympathy, thinking of you, etc...card! Love those kind! I hope you have a lovely Tuesday and thanks for stopping by! 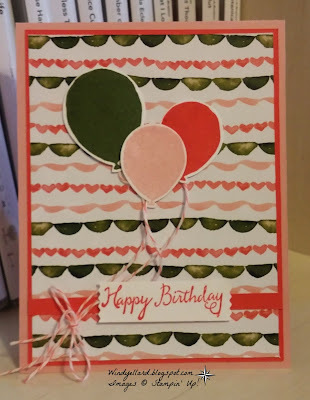 PP283 Happy Birthday Watercolor Balloons! Love the softness of this set! and clouds in Pool Party but stamped off once! 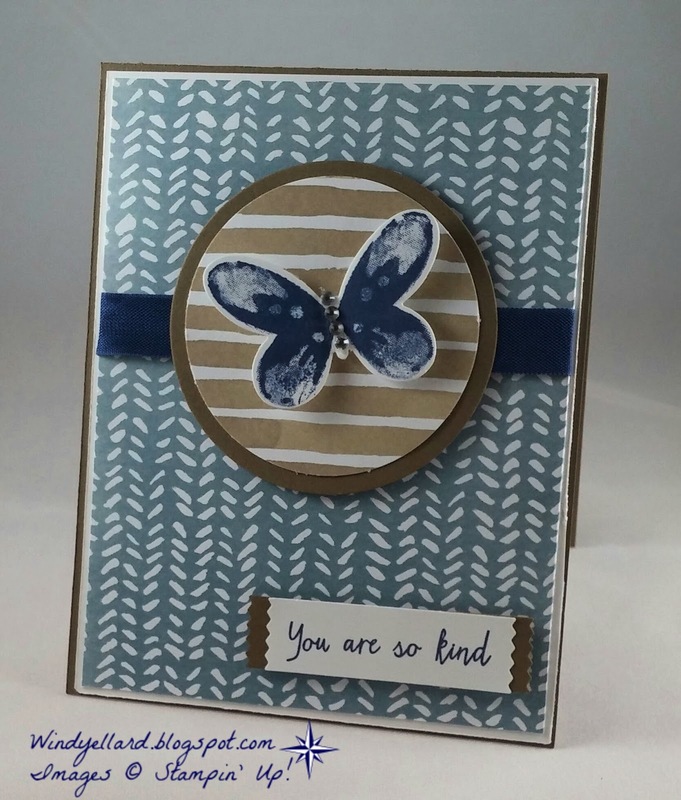 This is the second card for class next week! Should be fun to stamp and punch! Have a lovely Monday and thanks for stopping by! Hello, Yes! time to think about Easter! March 27th, 2016 will come fast..watch out! 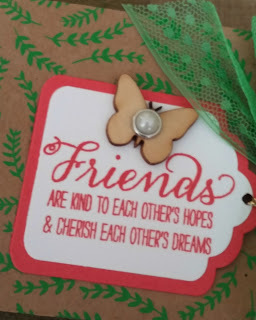 but I do love this sentiment in the Suite Sayings stamp set. It also gave me a chance to be creative having no image. 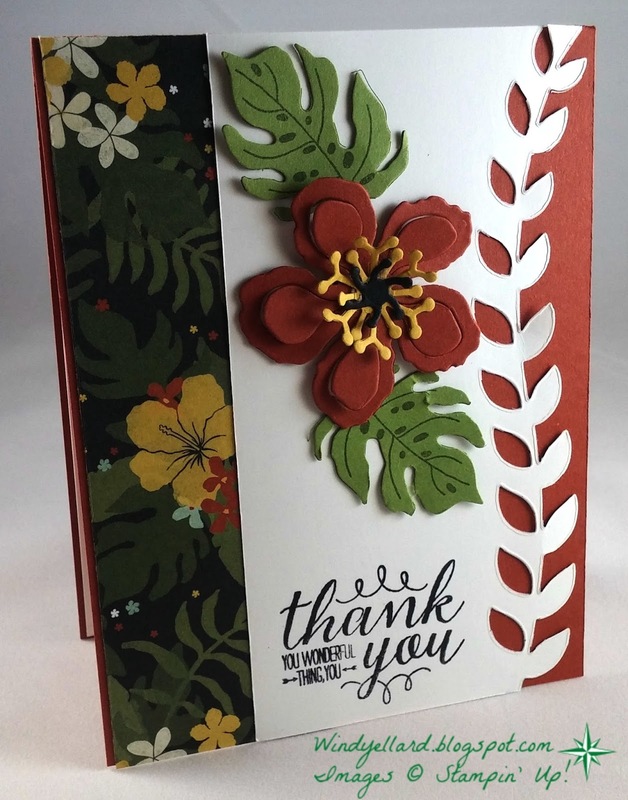 I went to my flowers tamp sets with matching punches. 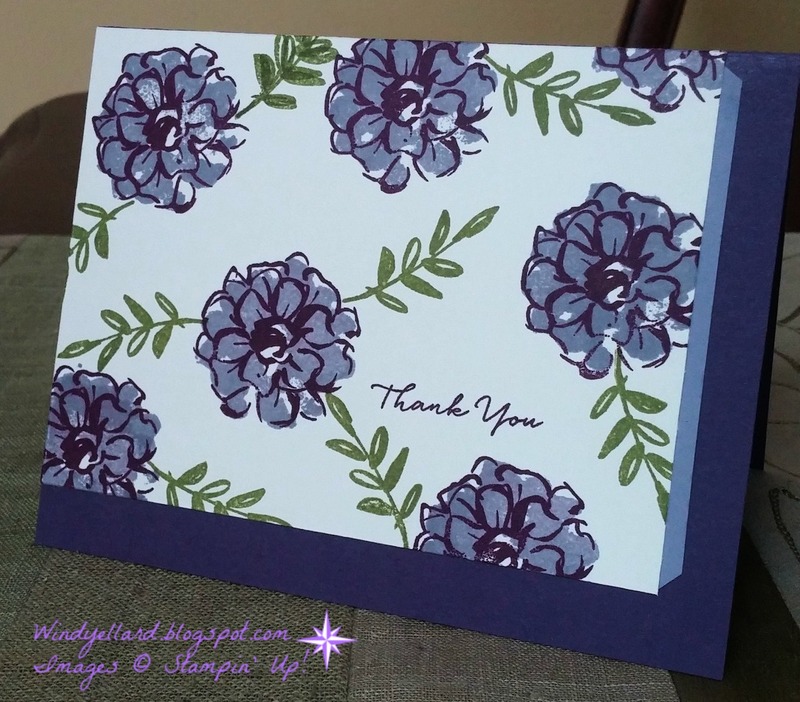 I, of course, went with purples for this sweet card! 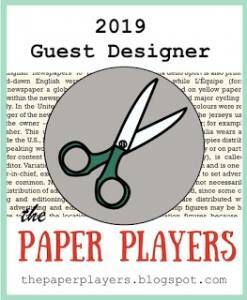 I hope the guest will enjoy this card in my classes next week! Have a wonderful and blessed Sunday and thanks for stopping by! 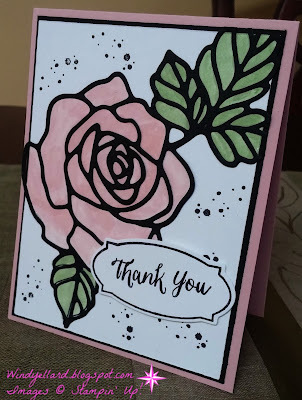 Sending this card out as a thank you to a friend for a birthday gift! Will have many of those going out this week! So blessed! I hope you have a tea-riffic weekend and thanks for stopping by! I need more thank yous to send out so I knew this sketch would have that sentiment. 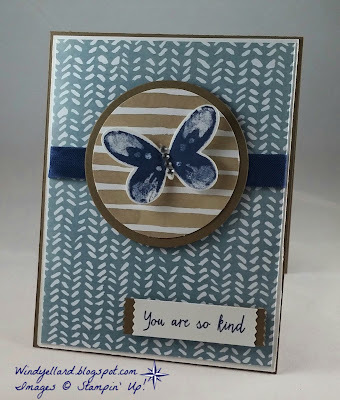 I have not used this great free stamp set from SAB nearly enough! I went with Eggplant and Wisteria because I love purple and it is my birthday today so I knew I need lots of purple! 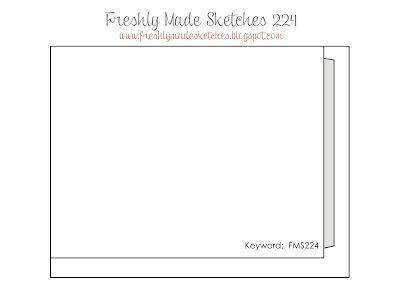 Head over and play along with this simple sketch! some of the Botanical Garden DSP. 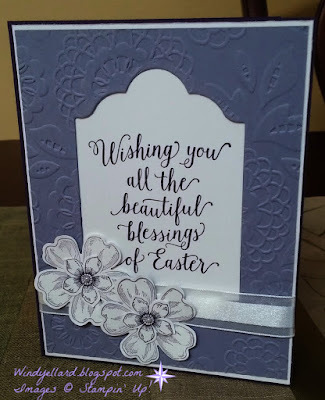 I decided to lay on the thick Whisper White card base to keep it clean and light. Some of these colors in the DSP can be very dark. to add flowers/leaves and make it great! Head over the palspaperarts.com to join in the fun! approach and let the DSP work for me! 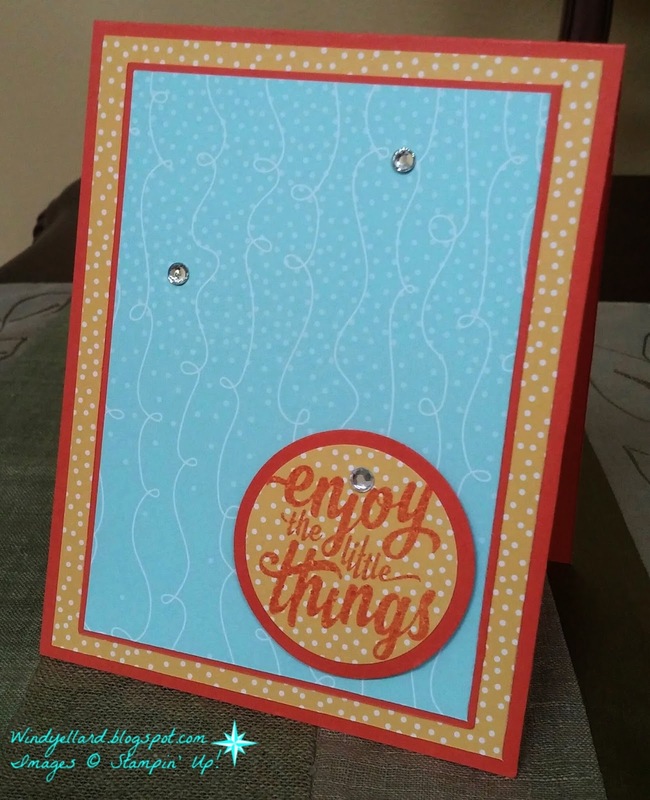 I stamped the sentiment from Enjoy The Little Things right onto the DSP. Added a little bling and all done! 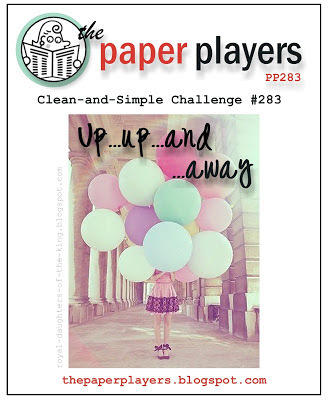 Play along with the Thepaperplayers.blogspot.com color challenge! 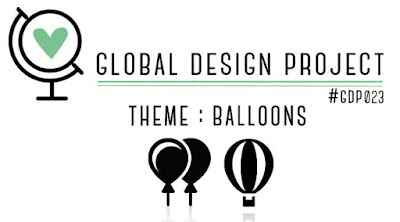 GDP023 Balloon Bunch For You! and it was sent out today to my birthday twin, Savannah! Our birthdays are this Friday the 19th! I notice a scrap of Mint Macaron embossed with the Confetti emboss folder. Had to add it to the bunch! Love the coordinating DSP and twine, too! Enjoy your Tuesday and thanks for stopping by! 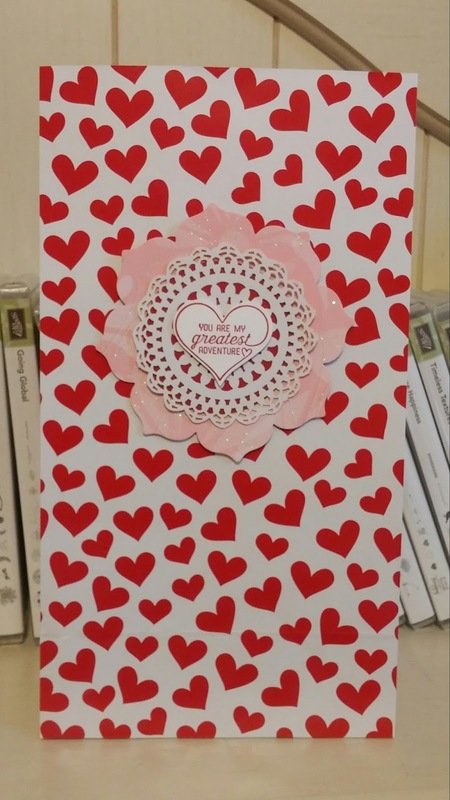 I do not need baby card often once about every two years or so. but ended up going to a friend's funeral instead. in the Suite Saying set. Just a few friend peeking out to welcome a new little one. I hope you have a wonderful Monday and thanks for stopping by! Valentine Treat Boxes For My Girls! 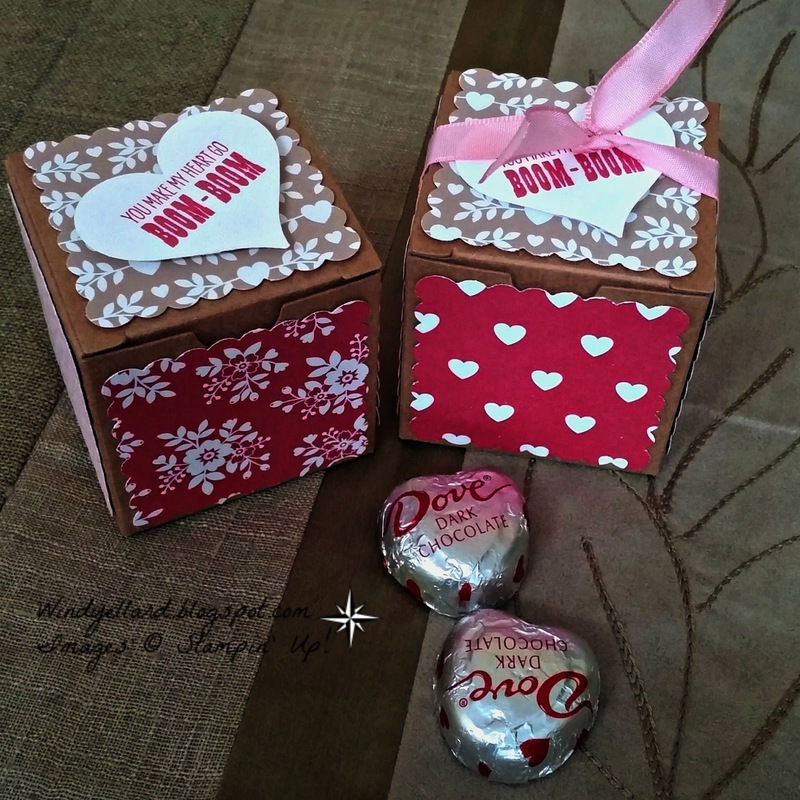 I made several of these treat boxes for my Sunday School girls since I was going to see them on Valentine's Day! I filled them with dark chocolate which is my fav! I stamped the sentiment from Groovy Love and used the Sweetheart punch. 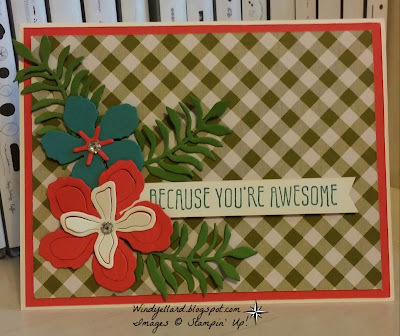 I used up some of my Love Blossoms DSP by punching many squares with a scallop square punch. Added a little pink ribbon that is retired to finish them off. I hope you have a lovely Valentine's Day! Funny how you center in on one or only a few images in a set. I did with this set called Number Of Years in the 2016 Occasions catalog. 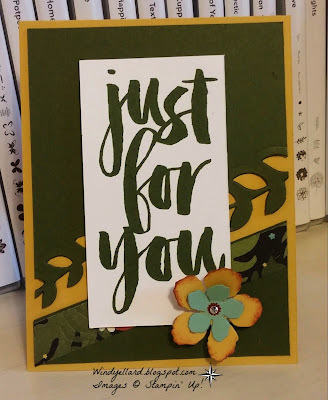 for a while the flowers until this past weekend I saw several cards with just the flowers. I thought of these flowers and decided to pair with the Birthday Bouquet DSP I love! and layered behind for the sketch...love the texture it brings! 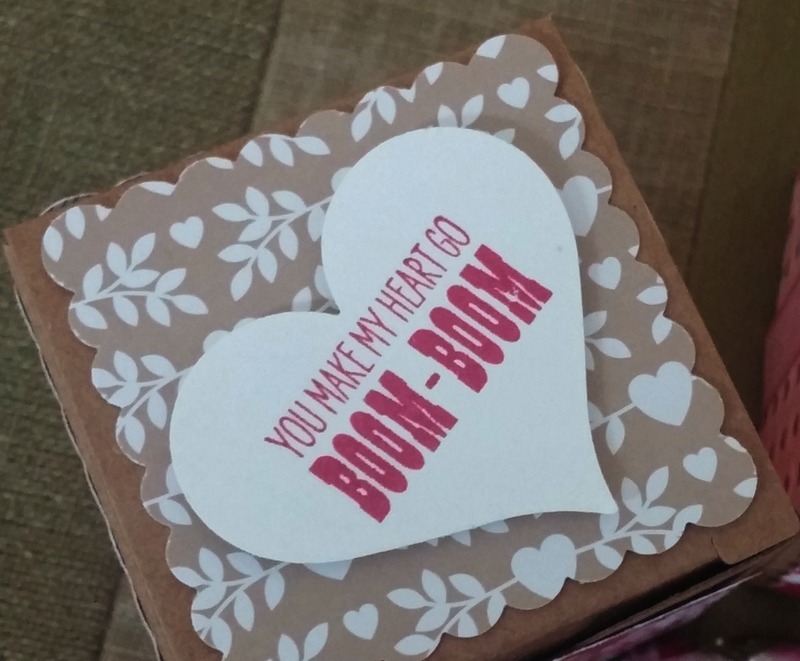 I hope you have a blessed Valentine's Day weekend and share some love! 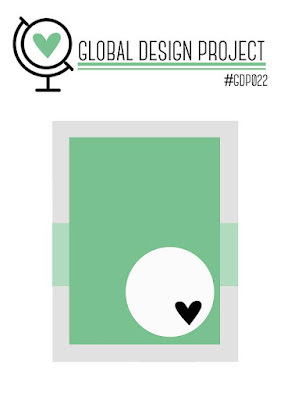 GDP022 You're Just The Sweetest! I decided to pull out a set I received at Onstage in Nov. called Apple Of My Eye. 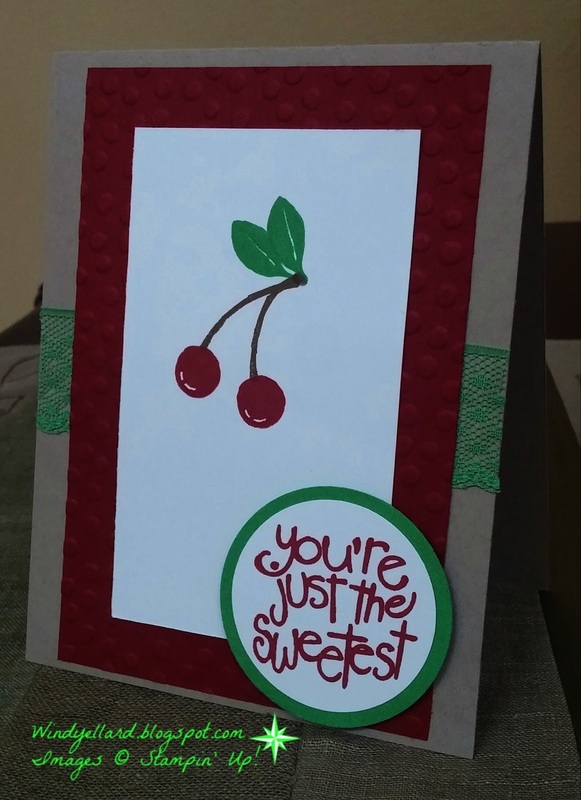 I had not used the cherries and needed a quick thank you. 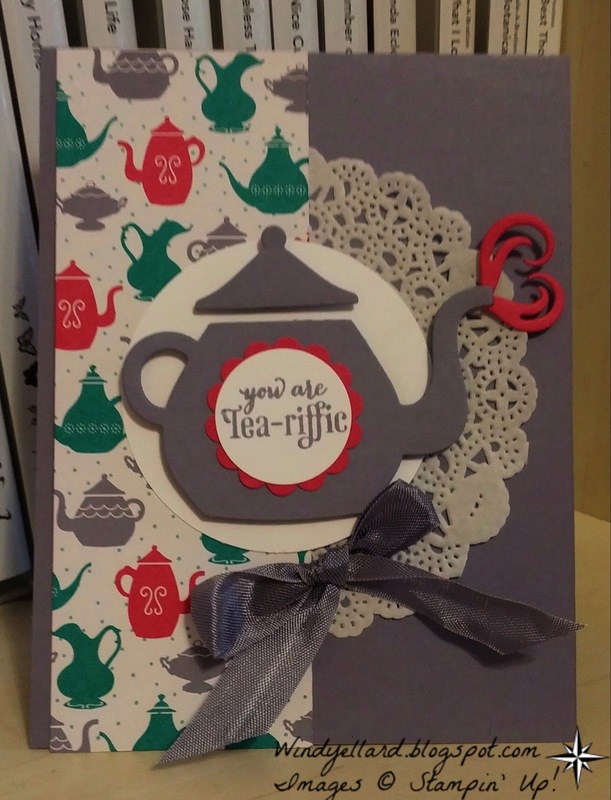 with a little bit of Cucumber Crush lace ribbon behind! PPA287 Bright Botanicals For You! 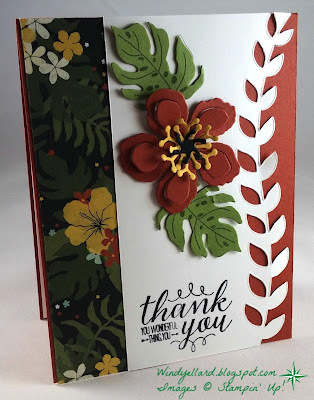 to have my Botanical Builder thinlits dies out and got excited to make some "blossoms"! I started with DSP...I was looking for Old Olive and glad I settled on Farmer's Market plaid! I also love the sentiment above....I say awesome a lot! Happy Birthday to my friend and fellow Pal, Paula Butler! 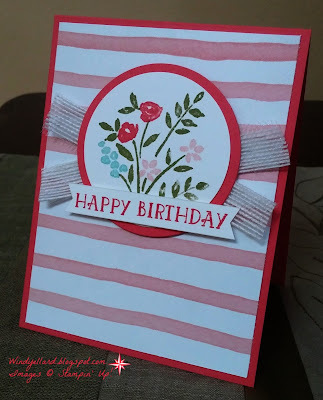 Gave her this card in Phoenix this past weekend but her birthday is today so featuring the card! 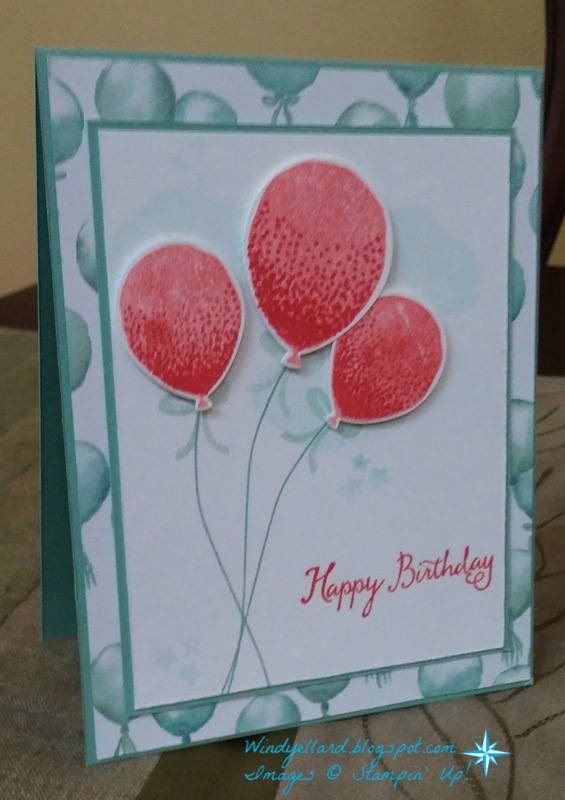 Quick and simple with punching those balloons and the colors come together so quick with the DSP to pull from! Hope you have a special day and thanks for stopping by! 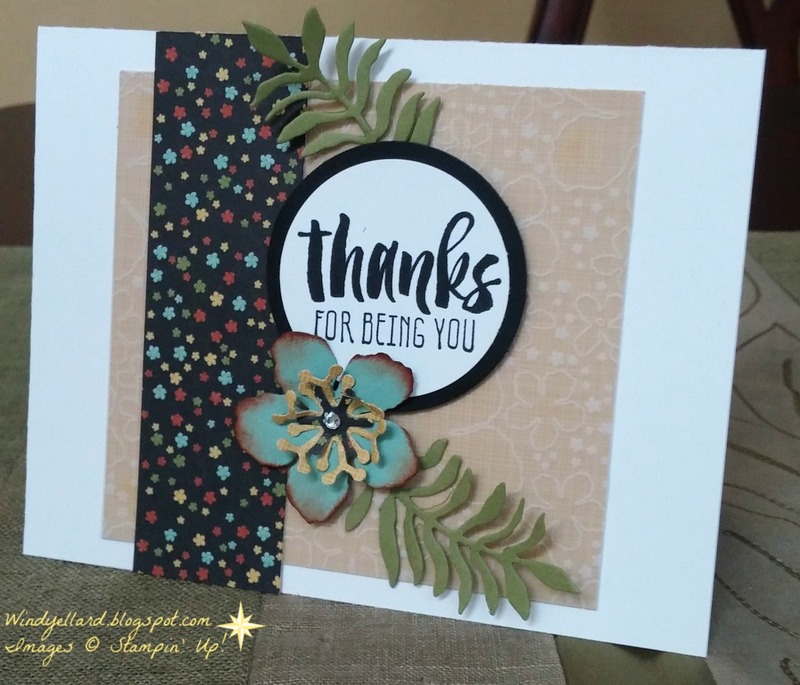 I used the Going Places DSP for the circle and the star. 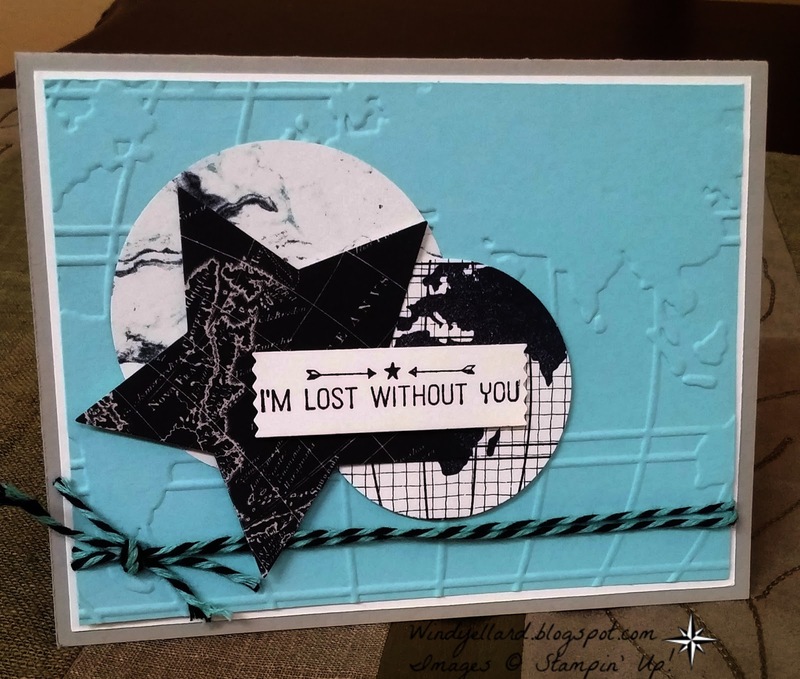 I stamped the world and cut out. even though I used Pool Party card stock, I liked the contrast! The washi punch works perfect for the sentiment! 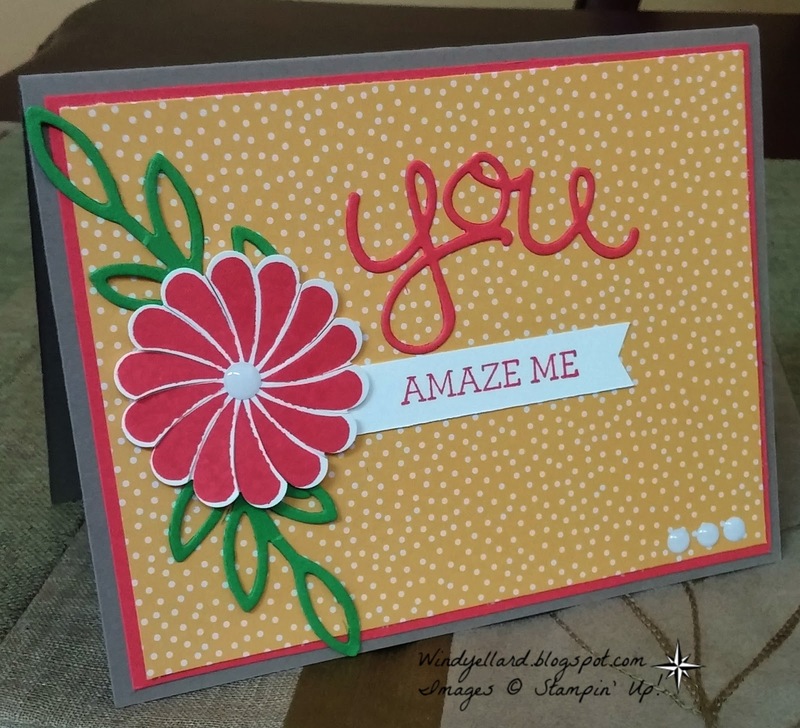 Fun colors for someone who amazes you! 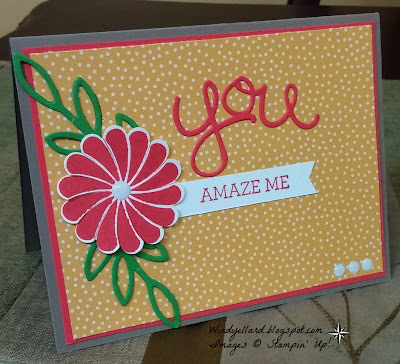 I used the Crazy About You set and the matching Hello You thinlits dies. with the 1 3/4" scallop circle. I did a little snipping to the flower slits. The leaves are from the Rose Garden thinlits dies. They are fun on the DSP. Hope you have a blessed Monday and thanks for stopping by! They Say Its Your Birthday! Love this swordfish but have not inked him up til now! He seemed to fit this sentiment! 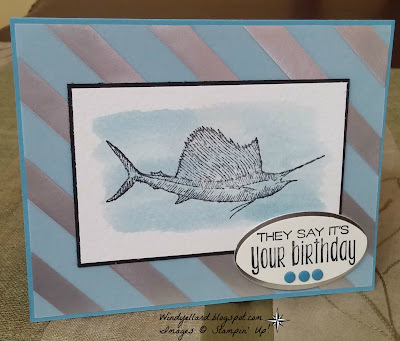 I used some watercolor paper and added some Marina Mist as a wash.
card stock for a great masculine look. I hope you have a lovely Sunday and thanks for stopping by! I designed this card for my swap card for an event in Phoenix I am attending this weekend! 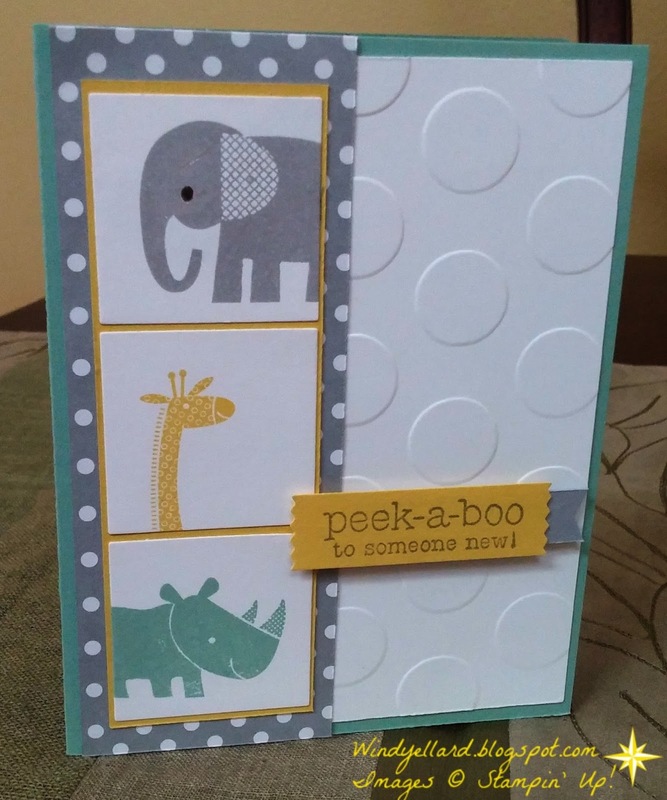 I used my 2 fav stamp sets Picture Perfect and Timeless Textures! Thanks to my friend Michaelle for coming over to help me kick out 28 cards! 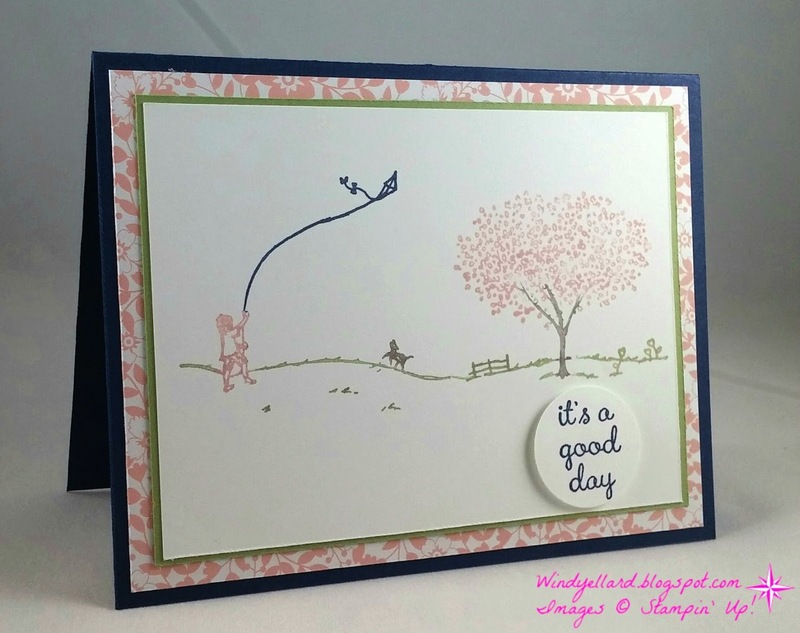 I stamped the bird in Wisteria , then Mint for the neck, then Plum and last Blackberry! I added some twill ribbon in Blackberry Bliss to give some texture behind. I made a quick bag with the new Shine On DSP...it is a thick heavy weight craft paper. 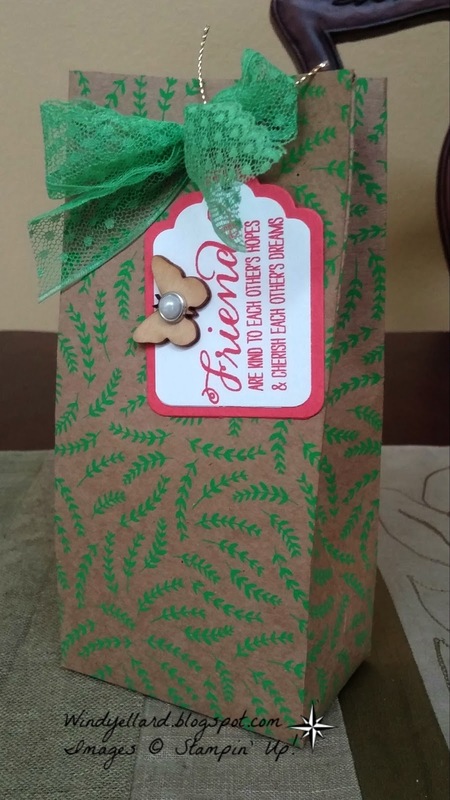 I used the Gift Bag Punch Board with a piece cut at 8"x 11"
and the line for medium bags. 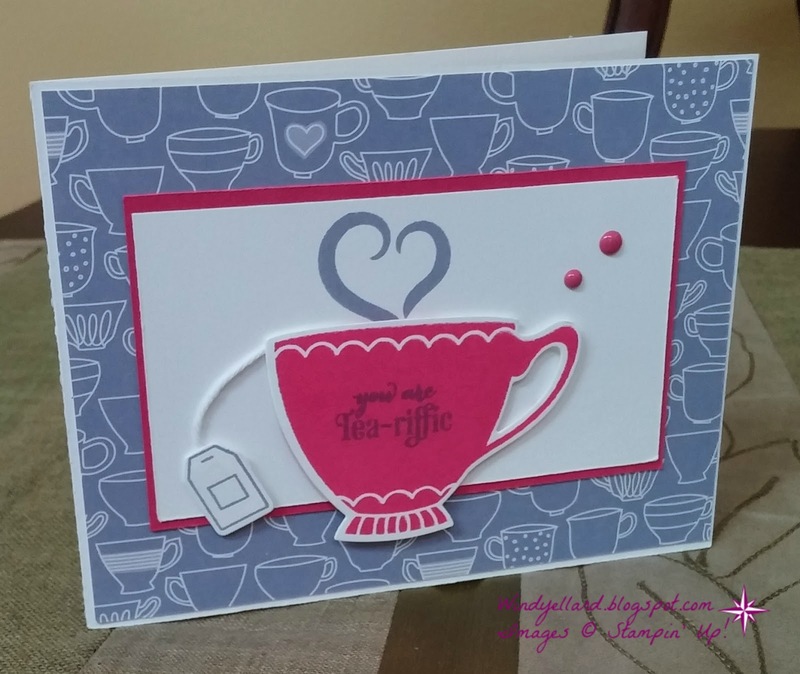 The punch board is only $20.00. So worth it! Can make three sizes but as tall as you want. My bag is tall but I wanted to make sure what I was putting inside has plenty of room! with the Tags & Labels framelits dies. The wood butterfly is from my Watercolor Wishes card kit. PPA286 Just For You Blooms! A great sketch by the wonderful Linda Callahan! 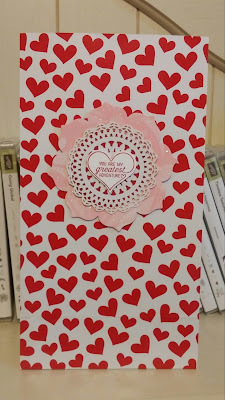 I actually did this card quickly...even the cutting was fast. I tried to add some leaves but it looked too heavy...the simple layered flower was best in the end! Not much color to the scrap piece of DSP I choose but that is fine...much happening elsewhere! to carry their cards home from class this week! 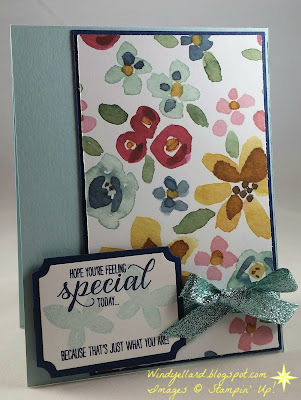 and then decorated them using the Floral Frames dies and some retired DSP. 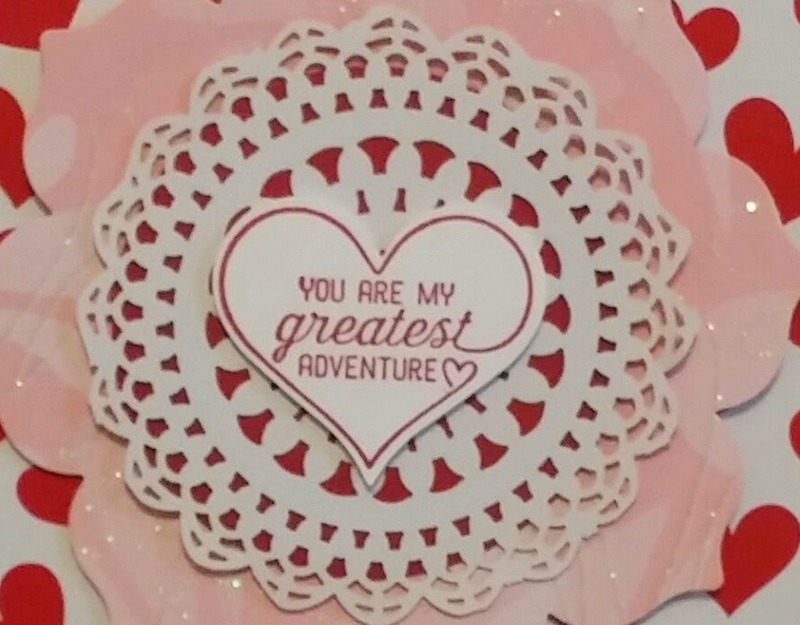 heart with the sentiment from Going Global stamp set! Easy and fun to use again! I hope you have a wonderful Wednesday and thanks for stopping by! 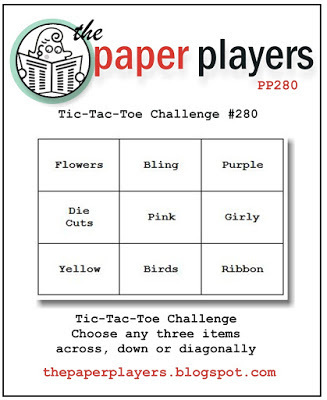 PP280 Tea-rific Tic-Tac-Toe and GDP021 Color! You knew I would go with Purple! But which way???? I decided on down with Purple, Girly, Ribbon! I grabbed the A Nice Cuppa bundle of stuff-set, dies, DSP- and went to work. 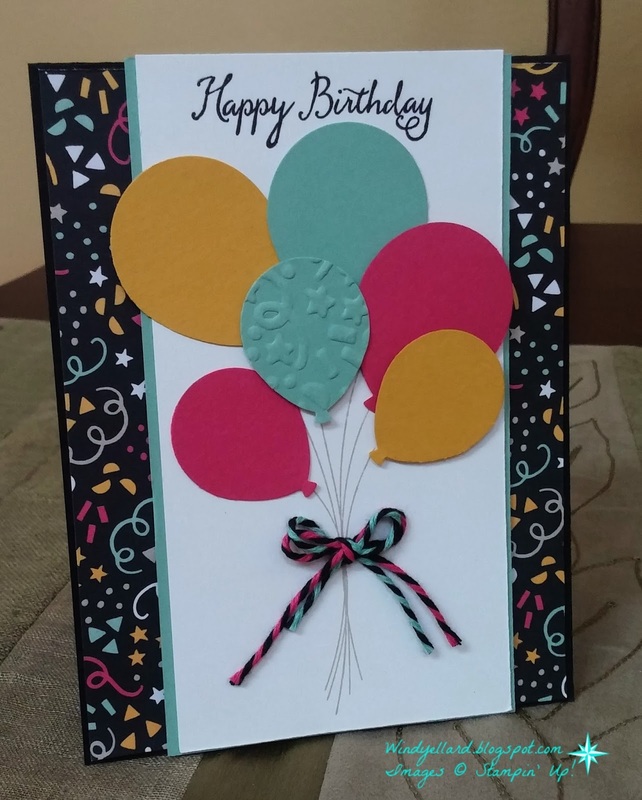 The suite makes it so easy to make a card quick! I hope you have a wonderful Tuesday and thanks for stopping by! ready for my husband to drop in mail this weekend while I am out of town. of Blushing Bride glimmer paper on my desk. Perfect touch!